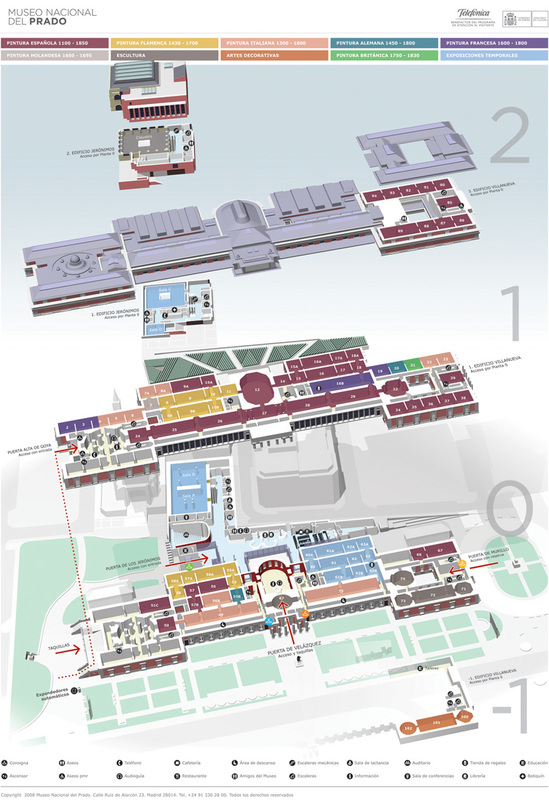 The current plan to rearrange the permanent display of the Prado, known as The Collection: The Second Expansion, is one of the major projects detailed in the Action Plan 2009-2012. This Plan sets out the principal strategies for a more comprehensive display of the Museum’s collections in optimum conditions. This “Second Expansion” of the Prado has been made possible due to the fact that an additional 25% of display space has been recuperated following the relocation of several departments to the new area designed by Rafael Moneo. The interactive infographic produced in presenting the plan has a linear progress in three stages: the new way of the visit, the new exhibition rooms and, finally, the collection relocated.